This weekend (the May 7/8) weekend was a handful. Presenting as a vendor at the Cheerfully Made Market in Almonte with my wood turned items at the same time as my friend Krista (of http://www.quilted4you.com ) was arranging to display my quilt racks at the Ottawa Modern Quilt Guild’s event at the Ottawa RA centre made for a busy busy weekend. 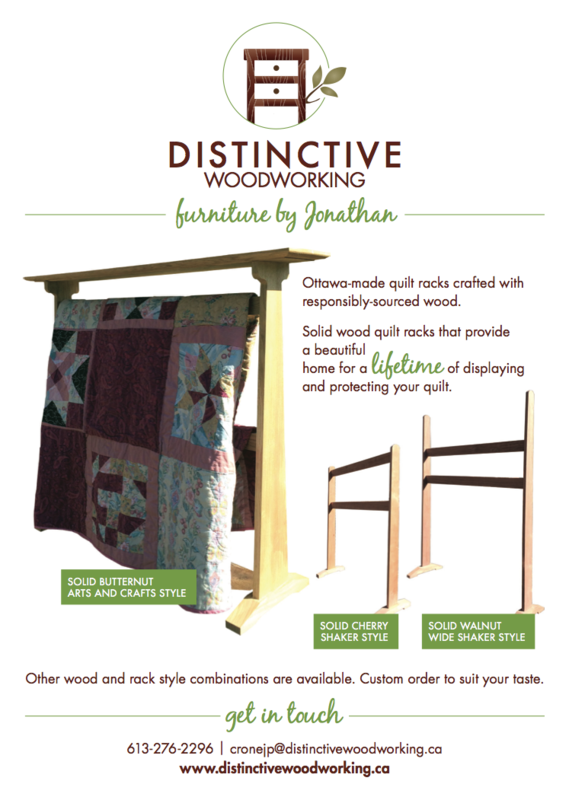 There was a lot of attention to the quilt racks at the Ottawa Modern Quilt Guild: Please get in touch if you’d like some lovely furniture. I take the perspective that an heirloom quality quilt deserves heirloom quality furniture. If one puts hundreds of hours into creating a quilt, then skimping on a rack that will bow, bend, or warp after a few months is false economy. 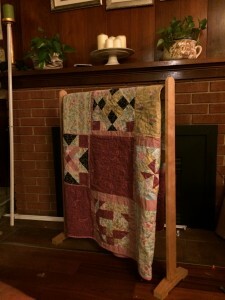 I design my quilt racks to be as much of an heirloom as the quilt that is displayed on the rack. 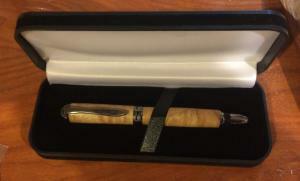 That includes quality joinery, a high quality preparation job on the wood so that there are no sharp edges or splinters, and a long lasting finish that will be compatible with the fabric of the quilt. More expensive, but a beautiful quilt deserves no less.